Many people will consider factual information and it will change their understanding. But there are some for whom, “Providing more, accurate information doesn’t seem to change their opinions or make them alter their erroneous views,” says Eugenie Scott, Founding Executive Director of National Center for Science Education. For example, Americans have a much lower incidence of acceptance of evolution than people in any other developed country in the world. The same is true about the acceptance of anthropogenic climate change, despite the scientific evidence for both. What explains this knowledge resistance? 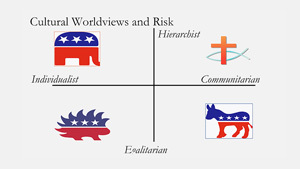 We all view factual information through a filter of ideology, values, and group identification but these filters often make ideas very resistant to change because they prevent us from looking dispassionately at empirical evidence, facts and logic. Scott explores what drives knowledge resistance and what can break it down. Watch Why Do People Reject Good Science? 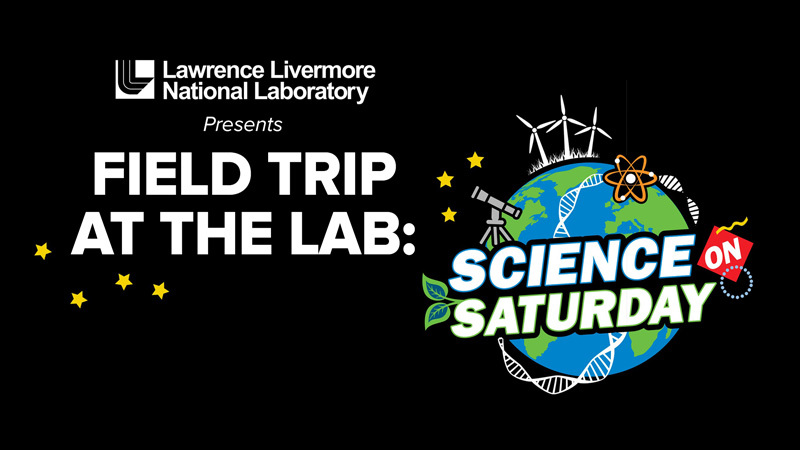 Join us on Science Field Trips to Lawrence Livermore National Lab! 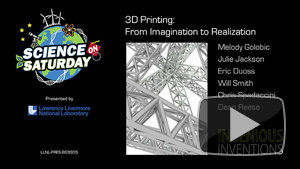 Revolutionary changes to materials and structures are now possible with 3D printing, bringing concepts that were previously only imagined into reality. This breakthrough technology fabricates components by adding material layer by layer from the bottom up allowing for the creation of highly complex and previously unrealizable structures. A vast majority of the newly discovered human pathogens are viruses that have jumped to humans from an animal host (“cross-species transmission”). 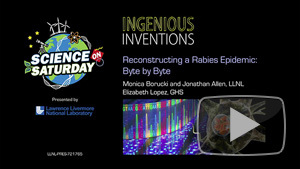 Find out how biologists and computer scientists have collaborated and used cutting edge ultra-deep sequencing technology to study the dynamics of a 2009 rabies outbreak to better understand emergent viruses, such as Ebola and Zika. 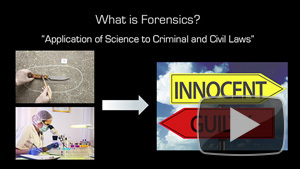 In the last decade, the scientific foundations of a number of traditional forensic methods have come under increasing criticism by the scientific community, leading to their discontinuation or reduced effectiveness in criminal prosecutions. These challenges raise questions about the admissibility of certain type of evidence in current cases and the validity of previous convictions. We will discuss the basis of these issues and describe some of the work ongoing at LLNL to try and address some of them. 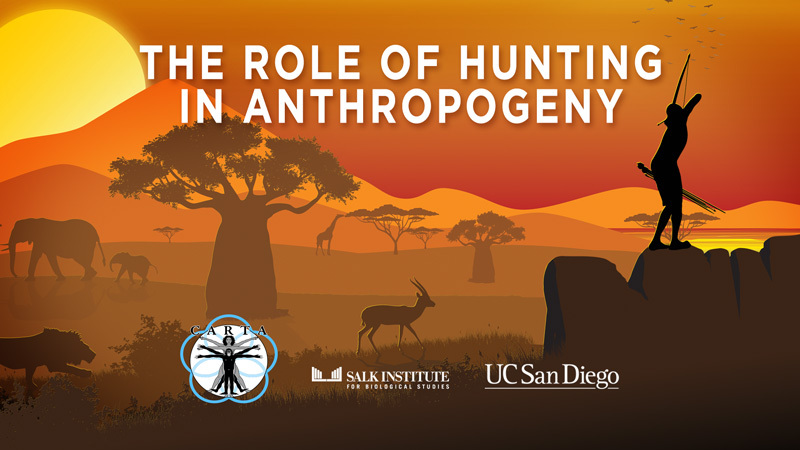 In particular we will describe an entirely new science-based approach to human identification. Browse Field Trip at the Lab: Science on Saturday to discover more from past field trips! If you are looking to work in the medical field, cancer is something you will be forced to face on a regular basis — especially considering that the incidences of cancer are rising, and currently the likelihood of contracting cancer in your lifetime is 1 in 2. 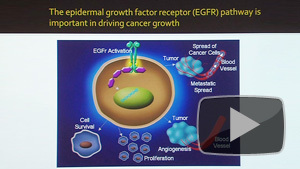 The latest video from the Foundations for Future Healthcare Providers series takes a look at oncology, specifically cancers within the gastrointestinal tract. Dr. Andrew Ko, from the UCSF Comprehensive Cancer Center, specializes in gastrointestinal cancers and says that there are many different types, just about as many different types of gastrointestinal cancers as there are different gastrointestinal organs. The most dangerous and most prevalent of these gastrointestinal cancers is colorectal cancer, which is ranked #3 in incidence and in cancer-related mortality amongst all cancers in general. 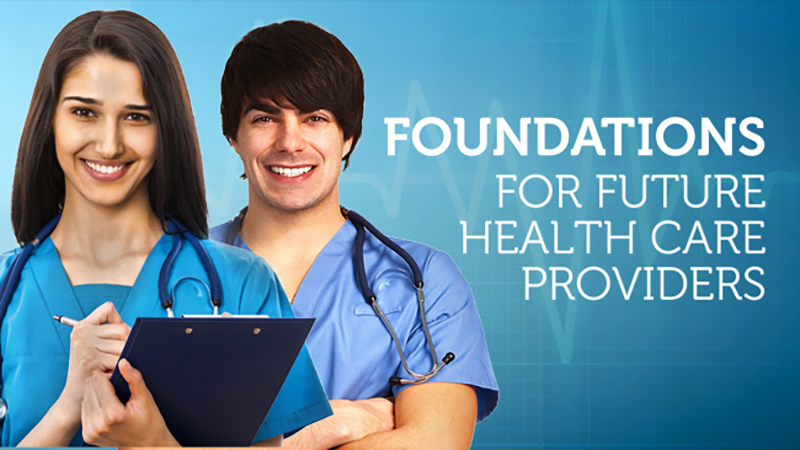 See what else you can learn from the Foundations for Future Healthcare Providers series!